Digital terrestrial TV users in Portugal look set to gain access to four new channels after the regulator agreed there was capacity to fit extra channels on the existing one-multiplex terrestrial TV network. 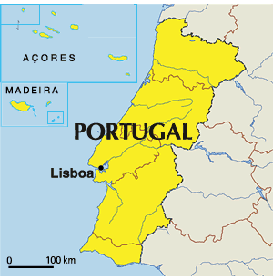 Currently, viewers in Portugal can only receive five channels on DTT. Following approval in Parliament, two of the new channels will be operated by RTP, the country's public service broadcaster and the other two slots will be open for commercial broadcasters to take over. In total, following the changes, there will be nine standard definition channels using a 720x576 resolution, operating with a similar configuration to how the UK's D3&4 multiplex was set up before ITV4 was added last year.